One of the great joys of travelling are the treasures you find along the way. That painting, book or artefact you discover when you turn down an unknown alley way or lose yourself in a market place. I recently stayed with some friends who shared with me the stories behind some of the beautiful things they’d collected on their travels, where they’d found them and the memories behind those special moments. This beautiful dome bowl and lid is made from bone and was found in a market place in India. 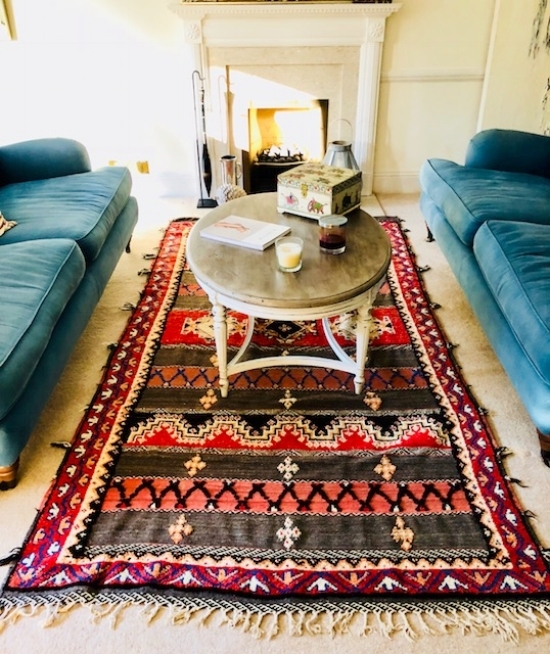 A hand made rug from Morocco. This antique Chinese cabinet stands 1.5 metres tall and shines as the light reflects against the gorgeous green lacquer. One of two Antique Chinese chairs in black stained teak. I fell in love with this stunning box from India. Built in 1880, this Welsh farm house table is as beautiful to touch as it is to look at. If only this table could talk. Can you imagine the conversations and laughter this table has known over the past 130 years? And in the home of Cindy and Ron, there’ll be much more to come! 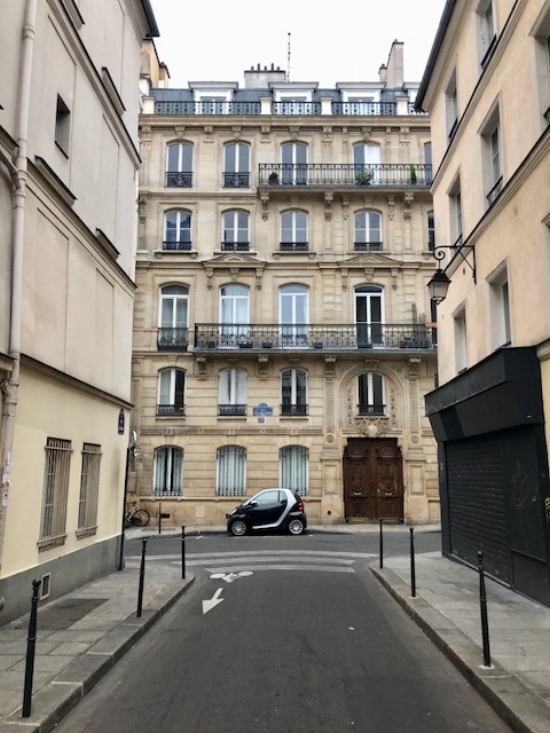 Walking around Paris is a non stop visual delight. Here’s what caught my eye this week when I was out and about. Double doors line most streets, hiding beautiful courtyards that lead to homes and businesses. Just one of the many colourful doors in Paris. A tiny shop selling vintage linen and homewares. Tucked away down the back of a courtyard, this shop was filled with contemporary designer labels. I love the array of colourful doors in this city. 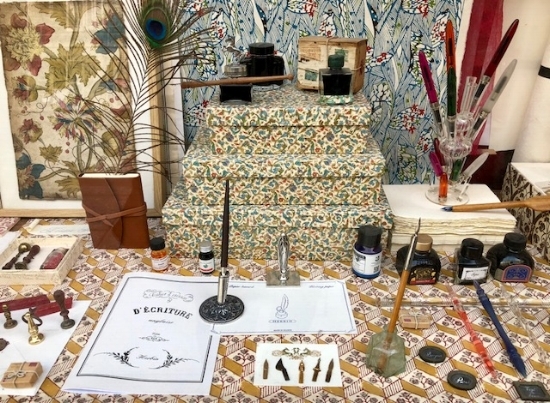 Gorgeous pens, inks, paper and wax seals. 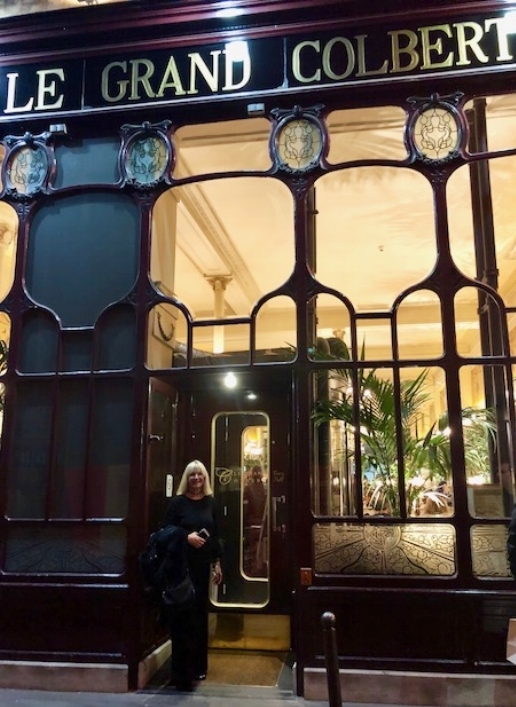 Off to dinner at, Le Grand Colbert, a classic French bistro in the centre of Paris. This place is about as French as it gets and a great way to finish off a trip to Paris. Boots, Horses and English Country Homes! I almost expected to see Mr Darcy, of Pride and Prejudice fame, cantering on his horse as I drove into Chatsworth House yesterday. Situated in the Derbyshire Dales, about 4 hours from London and only a short drive from my friend’s country home, this spectacular estate has been home to the Cavendish family for 16 generations. Built in 1549, Chatsworth is truly magnificent. Standing on this opulent stair case, I thought about all the women who have ascended these stairs over the centuries. What would they make of women’s lives today, I wonder? One section of the vast library and my favourite room. How I longed to browse through those books! Life in the English country side means wearing boots and coats that keeps you warm and dry. Rain is inevitable with muddy puddles, wet grass and slippery cobblestone, your daily terrain during winter. So, I’ve bought myself some quintessential country attire. My Megara leather & suede chocolate over the knee boots and Savannah camel coat are part of the Welligogs ‘Distinctly British’ clothing and footwear range. 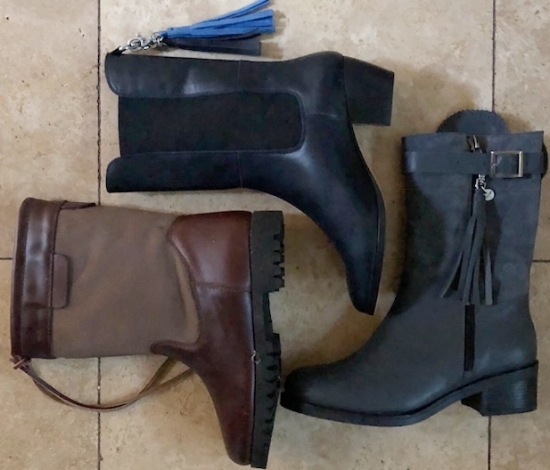 Ankle boots and long boot, all part of the Welligogs range. All this country air makes me want to saddle up and go for a ride……. maybe I’ll run into Mr Darcy? I’m off on a little jaunt soon and wanted to find new carry on luggage and ultra comfortable gear for those long-haul flights. Here’s what I went looking for. A couple of hoodies with centre front zippers. Easier to take off rather than pulling something over your head and elbowing the guy next to you. Everything had to mix and match so I could create at least 6 different outfits for traveling and lounging around in. Here’s what I found. 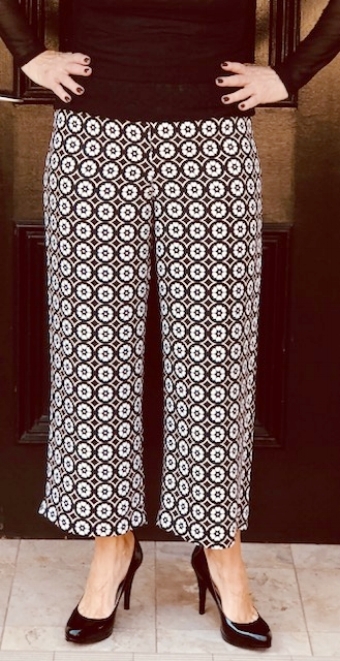 Straight leg pants from Zara with side pockets. Long sleeve cotton and elastane T-shirts from H&M and Black Skechers shoes. Hoodies from H&M in two different style. The fabric is an elastane/cotton combination so they’ll keep their shape. These were a great find at around $30 each. I came across this large ultra light micro-fibre bag on the luggage stand at my local boot-maker. It can be carried or worn cross body. Perfect for holding my headphones, laptop, notebook, water bottle, lip balm, moisturiser and chocolate for the movies! The pull along case was an unexpected find at one of those ‘Hot Dollar’ discount stores. I love it because it’s strong yet unbelievably light weigh and has zip-up compartments inside. All ready to go! Co-ordinated and comfortable. A few more 3 piece combinations. I love to travel in black but will change into the cream pants and a fresh top as soon as I reach my destination. And for me, a scarf on the plane is essential. Why does the air conditioning have to be soooo cold? I can’t wait to share with you my adventure in next weeks post. Every so often I discover a product that I not only love, but can’t imagine why I hadn’t discovered it sooner. My latest find has revolutionised the way I pack my suitcase. Perhaps you’re already using this system. They’re called, Packing Cells, (also called packing cubes) and they make packing and accessing your clothing while traveling a breeze. Below is a photo of how I used to pack. I’d start out with good intensions - everything neatly folded. By the first night of the holiday I’d have clothing everywhere as I searched for a particular black top amongst all of the other pieces of black clothing. (I wear a lot of black when traveling). Enter the Packing Cell System. By using zip up bags in a variety of sizes, you can compartmentalise everything. I put pants in one bag, tops in another, a small one for swimwear and underwear while keeping shoes separated from clothing. 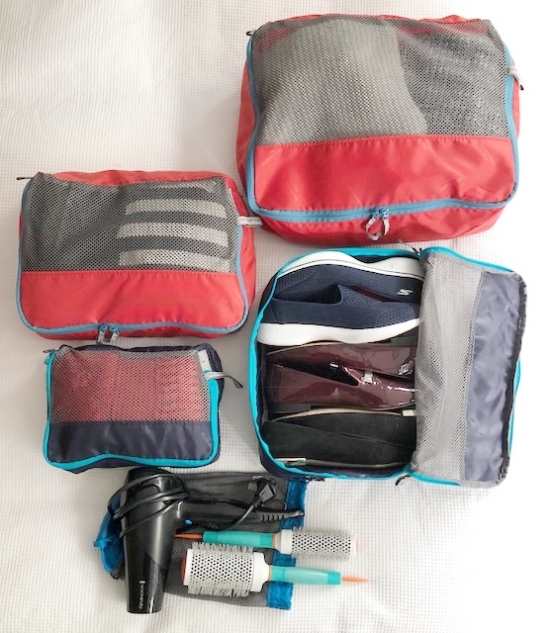 One bag for gym gear and another for those odds and ends like a hairdryer, straightener and hair brushes or accessories like scarves, gloves and belts. I also throw a couple of spare bags. Great for storing holiday purchases or laundry. Packing cells also make it so much easier if you’re in a different location every couple of days. Simply leave the items you need the most on top. No more pulling the whole case apart just to find that one thing! 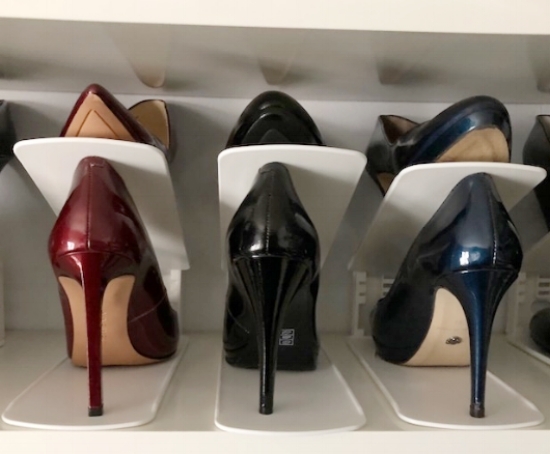 And it’s amazing how much more space there is in my case - which leaves more room for shopping. Here are a few online stores that stock Packing Cells and other travel accessories. I've been asked for this recipe so many times that I thought I'd share it with you. Leave out the chicken if you'd prefer - works just as well. What makes this recipe so delicious is the crunchy pastry top, but no heavy pasty base. There are 4 parts to this pie - a variety of vegetables, 1kg of chicken thighs chopped, white sauce and a pastry top. Chop a large sweet potato into 2 cm cubes and microwave for about 5 minutes until soft. Chop and saute - 2 onions, 2 carrots, celery, capsicum, a red chilli and 2 cloves of garlic. Add broccoli. peas and corn. Drain the sweet potato, add in with the other vegetables and allow to cook on a low heat. Add salt and pepper and some fresh rosemary. Stir in the chicken pieces and allow to cook while you make the white sauce. Add 100gm of butter to a pan, melt and add 1/2 a cup of plain flour. Allow butter and flour to bubble and thicken then add 1/2 cup of milk and 1/2 cup of chicken stock. Keep stirring over a medium heat until you have a creamy firm white sauce. Add a little more milk and chicken stock if it's too thick. 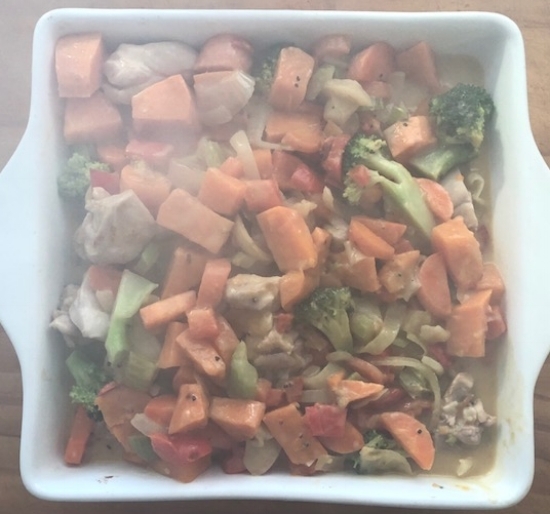 Add the white sauce to the chicken and vegetables, mix well and cook for 10 minutes or until the chicken is almost cooked. Pour your chicken, vegetable and white sauce mixture in to a dish and place one sheet of puff pastry on top. Stab pastry with a sharp knife and place in the oven for 30 to 40 minutes on 200 celsius. All that's needed to compliment this pie is a leafy green salad. I love flowers! A mass of sunflowers in a jug, lilies in a glass vase or a small posy of sweet peas on my bedside table. 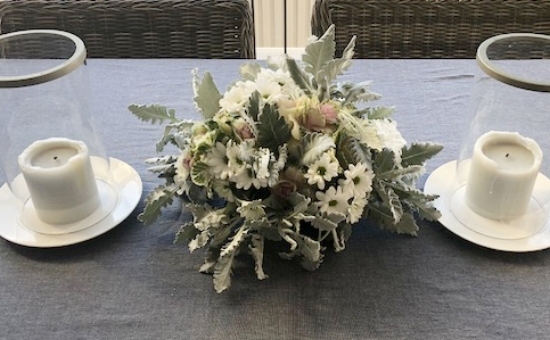 Every now and then I do a more formal floral arrangement. It's far easier to do than it looks and it's fun. Here's what you need. Buy a couple of bunches of your favourite flowers and a bunch of foliage. Choose flowers that have a fairly strong stem. And some floral foam, also called oasis, which you can buy from most discount stores. Cut the foam block to the required size and sit it inside a plastic frame or take-away container. Place the foam block inside a plastic dish. 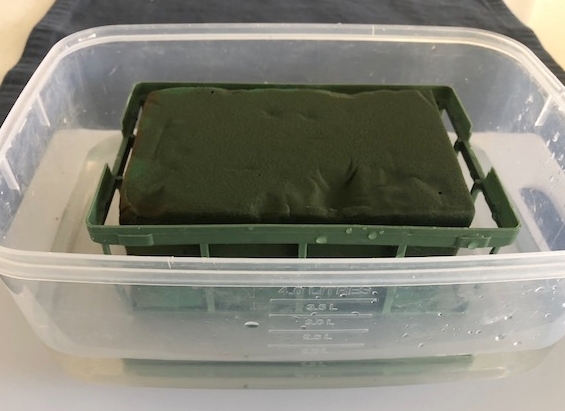 Pour water all over the foam block and allow it to stand for about 10 minutes so the foam can absorb the water. Lay your flowers out so you can reach them easily. You'll need gardening shears or sharp scissors to cut the steams of each flower on an angle. This makes it easier to push the stems into the water filled foam. For this arrangement, I ended up using a round dish with the foam block attached - they're about $3 to buy. Step 1 - Use the green foliage to create the initial shape of the arrangement. In this case, I'm going to make a rectangular shape. Step 2 - Then add the larger flowers to give height in the middle and length to the ends. Step 3 - Lastly, push the remaining flowers into the oasis, making sure the plastic dish underneath becomes hidden. Use any left over bits and pieces to fill any gaps in your arrangements. When completed, stand you arrangement in the sink and give the foam another good soaking. Finally, place your arrangement where you can enjoy it every day. For me, that's on the table outside my kitchen window. If you water the foam block regularly, your arrangement will last for ages. Before you go - I've just found these photos of an arrangement I made for the holiday season last December. Seriously, this is so easy to do and now you know how. Enjoy. Yesterday the morning got away from me and before I knew it, I was running behind schedule big-time. With only 10 minutes to get dressed and be out the door I had to choose quickly and appropriately for my upcoming meeting. There was no time to fuss or iron anything. Solution? I went for a classic black and while look, one I've worn all my adult life. 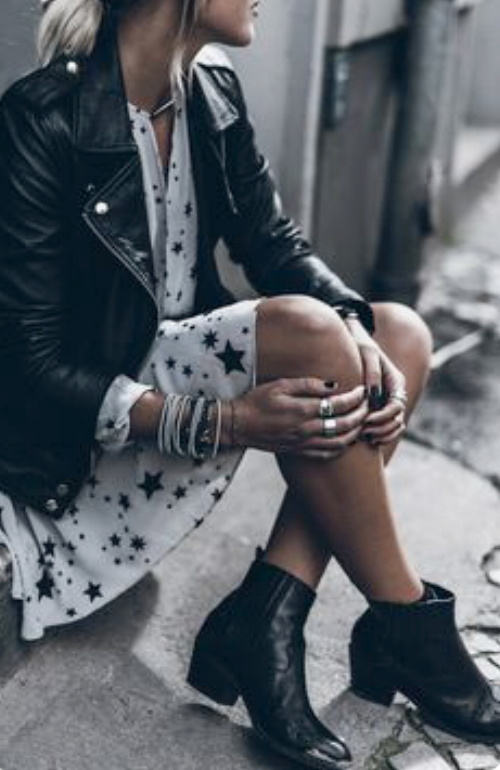 Black and white is an easy fashion staple to pull together. Here are a few of my favourite interpretations. One of my all time favourite actor's, Diane Keaton, rocking the same look. She must have got my memo!